Gin Weathers is powered by her life's mission of making connections for good. Her multi-level background in business, arts and culture contributes to her mission. Gin began her career as a teacher in her native South Carolina, working with challenged pupils and serving as a specialist in her field at the SC Department of Education. In Washington DC, she was on staff at a White House Conference for Children and Youth, the U.S. Department of Energy and was a specialist on building coalitions to support legislative issues for a major trade association. Gin’s background in real estate includes the development and marketing of premier office buildings in downtown Los Angeles and surrounding areas for the Ahmanson companies and Koll Development and marketing consulting for Gerald D. Hines and other development firms. Her education includes both B.S. and M.Ed degrees, and postgraduate work in journalism, real estate and communications. 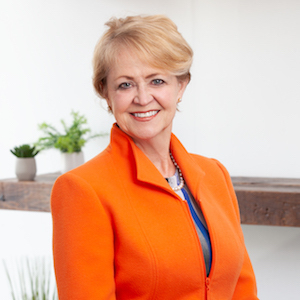 Gin cherishes the Monterey Peninsula and has been active as a supporter and Board member for the Monterey Museum of Art, Carmel’s PacRep Theater, and Carmel Chamber of Commerce. She has worked closely with Middlebury Institute of International Studies as a volunteer and a relocation consultant. Weathers works with Carmel Heritage Society, Carmel Women's Club, Church of the Wayfarer and Gathering for Women; she is dedicated to raising funds and awareness for programs she supports, especially homeless women. Gin is passionate about real estate and has been helping sellers and buyers on the Monterey Peninsula for 15 years. She is consistently been a top producer and is honored to be affiliated with Compass and the Weathers Group.